What is a Scientific Revolution? Specifically, the term refers to the period that started in the 15th century. Before this crucial point in our history, people were mostly focused on theology for instance. But starting from the 15th century, the focus shifted to scientific discoveries and beliefs, which gave us a new way of trying to explain the world around us. Today, the term scientific revolution refers to a big advancement or a large change in our understanding of the natural world. For example, when back in the 17th century Galileo Galilei discovered the Sun (not the Earth) was the center of the solar system, he was condemned and put under house arrest until he died alone at the age of 77. All of this simply because his true understanding of nature opposed the common thinking in that day. It took 350 years before in 1992 the Pope decided it was time to rescind this condemnation by stating that Galileo was correct and the Sun is the center of the solar system. Currently, we have another big advancement underway, another scientific revolution beginning that is rocking the very foundation of our understanding of the universe. A mass awakening if you will, brought forth by one seemingly tiny discovery. The proton’s radius is 4% smaller than we thought it was, and this changes everything! Here are 3 Critical Facts for a Scientific Revolution. One hundred years ago the measurement for the charge radius of the proton was established, and from there, the entire standard model of modern physics was developed. However, in 2010, we discovered that this one-hundred-year-old measurement for the radius of the proton was wrong, and thus, the entire standard model of modern physics is starting to crumble because of this discrepancy. This is a huge problem in modern physics and the center of controversy for physicists around the world. This proton radius problem has opened the door for ideas, new answers, and new ways of understanding the universe. With clarity comes innovation. Go find a physicist and ask “Why do protons spin?” or “How does the proton demonstrate perpetual spin, forever?” With this question, the physicist would have to say “I don’t know” because, as of yet, we have no accepted understanding of the universal spin mechanics of the proton. All protons spin at a fixed rate for seemingly forever, but how? The proton breaks the laws of physics by demonstrating constant perpetual motion. This is not bad; actually, this fact opens the door to new discoveries and advancement. 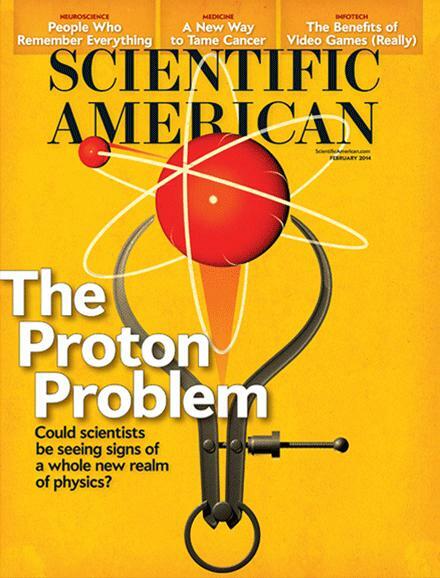 It’s time to break the laws of physics, solve the universal spin mechanics of the proton, and use this discovery to create new energy technologies beyond our wildest imagination. If you check the definition of an isolated system, you’ll see that it does not actually exist in nature. It’s a fallacy. In other words, there is no such a thing as a physical system that does not interact with the rest of the universe in any way. Everything is connected to the energy source known as the fabric of spacetime or vacuum energy. And, there is no shield against the force of gravity. Yes, at times it is “convenient” to look at things as isolated and separate from everything else. However, if we ONLY ever look at the isolation within physics, we will miss the amazing connection between everything, and we will miss the abundant clean energy source that has the potential to take our society to the next level. It’s time to change the world. Please share your thoughts and leave a comment below! I have come to know many things in the last almost 30 years – don’t look at the proton, neutron, or electron – look at what holds all of that together – HYDROGEN – when you look at that and realize it is the only element out of sync with the rest. Namely, Hydrogen is the only atom that does not have a NEUTRON. Ask yourself why? I can tell you why if you want to know what I have found, including a new energy. They say patience is a virtue. I say hurry up is a virtue too! (: Thank you, Walt! self charging super capacitors made with fullerines , C 60, as fullerines are electrostatic antennas, will act as both to accumulate the ever-present electrical potential (chaos of the aether) into useable storage tuned to the carbon atom. this has many implications ; most importantly-harmony with with all carbon based life forms. Your article shows a lack of respect & recognition for the true discoverer of the proton radius flaw, the revolutionary physicist Nassim Haramein, founder of the “Resonance Project”. I urge anyone interested in the subject to look him up and prepare to be entertained by this dynamic speaker and scientist. He is the maverick genius behind the scientific quest for revealing the true nature of our connected universe. Funny thing is that it’s all been explained by mystics & yogis for centuries, just from a different perspective. Agreed. Nassim Haramein is a legend in the making. Here is a video elaboration we produced teaching the basics of his new paper/formula “Quantum Gravity and the Holographic Mass” https://www.youtube.com/watch?v=qbZOpT530WE ENJOY! More to come! Do you follow the work of Dan Winter on the fractal, golden mean, fractal Planck Length of the Hydrogen atom? Or Nassim Haramein’s video package called “Crossing the Event Horizon”? Nassim works with physicist Elizabeth Rauscher. Mark, thank you for sharing, this is a great high-level article!